Meet our group of master mixologists from around the world. Watch them stir in a dash of excitement and shake things up from the 18th – 27th March at the Moxologists & the Teamaker in Sri Lanka. Internationally renowned Polish mixologist, with a passion for tea cocktails. Having worked at Baroque and Finka ( eco-friendly cocktail bar) and represented Poland in the Grand Finals of Bols Around the World 2013 he now holds the position of brand ambassador for Lucas Bols in Poland and is in charge of the training of hundreds of bartenders throughout the country. Lead bartender at Metrovino and writerof the long-running weblog Liquidity Preference ,co-founder ofBrewing Up Cocktails, based in Portland, Oregon, and travels frequently as a brand ambassador for Lucas Bols USA. Bartender, trainer and drinks historian. Having delivered training for almost every spirit company as well as delivering independent training for Shaker Barschool, Hotel groups including Hilton and Sheraton, the Wine and Spirits Education Trust and top cocktail venues around the world, his credentials are solid.John joined Maxxium in late 2011 as a brand ambassador for the Lucas Bols portfolio. Well respected mixologist and consultant with a long track of international experience, currently based in Queenstown working as Bar manager at The Bunker. Master mixologist and Dilmah tea sommelier with panache for striking gold with his mixes, Robert has won a host international titles and accolades, including the most prestigious “Remy Martin Bartender Style Master”. 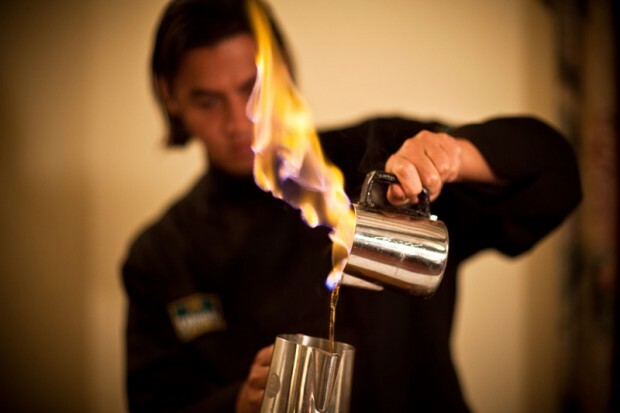 A speaker, presenter and motivator in the world of cocktails and F&B, training staff at 5 star properties worldwide and teaching many professional bartenders, Robert ignites passion and inspires people from all over the world to look at mixology in a different light. Australian Bartender, Simon has worked among others at one of Australia’s most influential bars in the past 50 years “Julep Lounge” and at London’s famous CalloohCallay – Winner of Tales of the Cocktail World’s Best Cocktail Menu.